Many Cobb County homeowners have learned the county’s property tax rate is expected to increase later this year, and most probably were not happy to hear the news. At a time when property values are rising across the county, how could a tax hike be necessary to balance the budget? 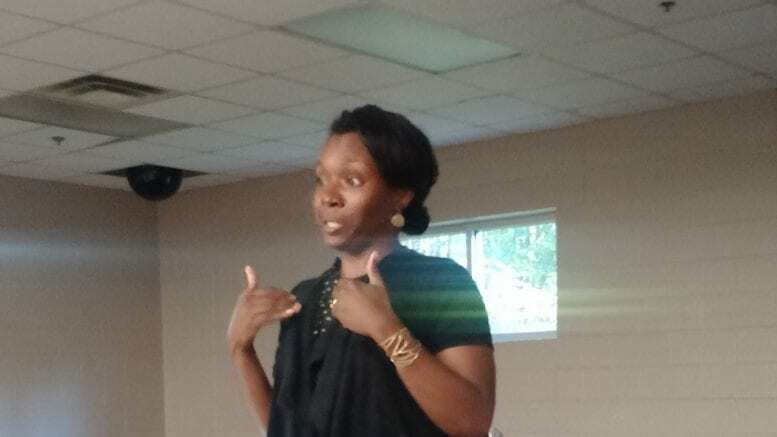 The answer is a mix of process and politics, both of which Commissioner Lisa Cupid attempted to answer at a Wednesday night town hall meeting. 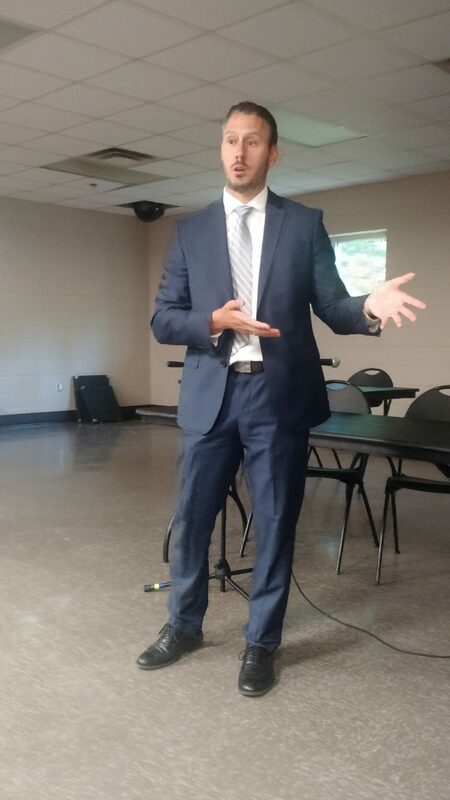 Cupid was joined by Cobb Finance Director Bill Volckmann at the South Cobb Recreation Center for a public meeting to discuss the expected millage increase and met with a crowd of about 20. 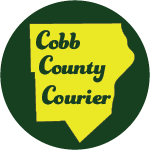 The new millage rate will be set during a 7 p.m. meeting of the Cobb BOC on July 25, following the third and final public hearing on the issue, and the overall millage rate is expected to jump by .13 mills. After a few opening comments, Cupid showed a YouTube video posted by Commission Chairman Mike Boyce, which explained the budget process using a bucket and blocks decorated with dollar signs. The budget rate is set currently at 6.66 mills for the general fund, .23 mills for debt service, 2.96 mills for fire, reaching a total of 9.85 mills. Separately, there is a school tax of 18.9 mills. The proposal on the table for is for an increase of .13 mills to the county government’s for an overall rate of 9.98. For the owner of a $250,000 home, the tax increase will be around $32.50 ($12 when adjusted for the homestead exemption). The clip goes on to explain where all of the county’s $383.6 million budget goes, and what types of services and improvements the county would like to address but can’t, such as hiring more police officers, more frequent right-of-way mowing and updating the vehicle fleet. Boyce finishes off by promising to maintain high standards in Cobb County. Boyce himself will host a town hall meeting at 11 a.m. Saturday, July 22 at the Thompson Community Center in Mableton to discuss the budget. After the video, Volckmann explained that the county pays its bills throughout the year, then sets a millage rate in the summer for the following fiscal year, which begins in October. The process is retroactive, similar to how many mortgage companies set escrow payments. However, Boyce is spearheading an effort to set the millage rate ahead of the budget, and begin planning five years in advance. The first year of the five-year plan will be fiscal 2019. Cupid agreed the revised process will be a major improvement. Previously, county department heads submitted funding requests in private sessions that weren’t open to the public. That process will now be done in the open at public meetings in an effort to increase transparency, according to Volckmann. He added that Cobb’s millage rate is the lowest in metro Atlanta, and will remain the lowest even with the hike. Perhaps not surprisingly, the first question asked by a meeting attendee was on SunTrust Park, the new Braves stadium. Volckmann said the county’s obligation to the stadium is $6.4 million annually, plus $1.2 million of capital maintenance. However, he added that the Braves pay rent on the stadium and that while it is exempt from property taxes, surrounding development at The Battery is fully taxed. During the meeting’s second hour, Cupid expressed her frustration with the budget process and with never-ending budgetary slights to her portion of the county. “I feel like the exemption is never made for District 4,” she said. Many of those gathered in the recreation center, which is located in Cupid’s district, agreed and expressed their own frustrations with their treatment by the county from a financial standpoint. Cupid encouraged everyone to attend budget hearings and speak up during public comment at BOC meetings to make sure their voices are heard and their issues addressed. But Cupid stood by the expected millage rate hike. “There’s validity in increasing the millage rate,” she said. 1 Comment on "Cupid updates South Cobb residents on budget and expected property tax hike"
Boyce is,an idiot. Have no use for this incompetent person running our county now. SAD !